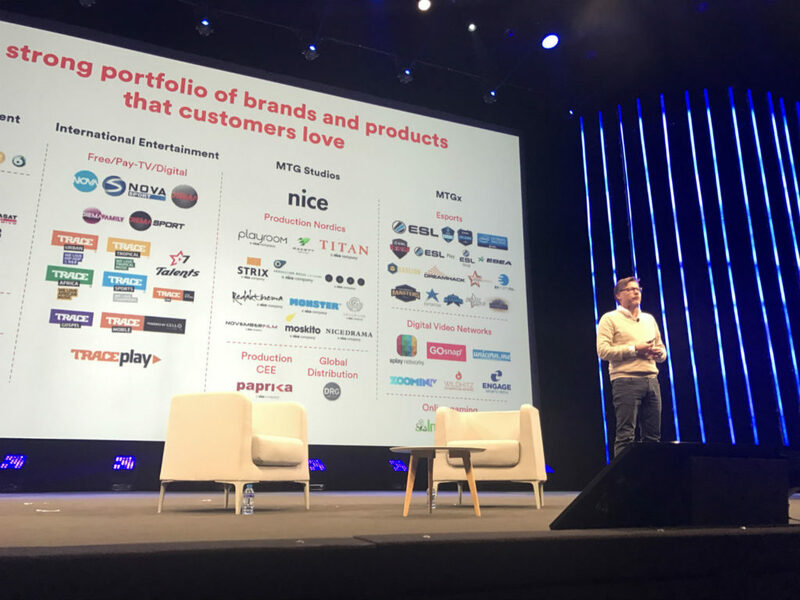 As the TV industry gears itself up for a new era of digital entertainment, this morning MIPTV heard from two executives at the sharp end of the disruption in platforms, content and viewing habits. The first keynote featured Ivana Kirkbride, chief content officer of go90, the video-streaming service launched in 2015 by US telco Verizon. Its emphasis is on original programming made for mobile viewing, while Kirkbride’s career takes in senior roles at Vessel – the startup acquired by Verizon in 2016 – and YouTube. She talked about a gap in the market called “premium mid-form” – in between full-length TV shows on Netflix and Hulu, and short-form videos on YouTube. go90’s hit shows can be anywhere between eight and 30 minutes in length, with the audience watching multiple episodes at a time. She also praised the young talent that is making these shows, and using data to shape their content. She also talked about four new go90 networks: go90 Saga, XO, Zone and Session. Saga focuses on sci-fi culture: action, animation, horror and so on. Zone will focus on sports: live matches as well as shows based on popular stars. XO will be a pop-culture based channel with scripted comedies and reality shows aimed at young viewers. Session will explore the counter-culture, from music to sneakerheads. 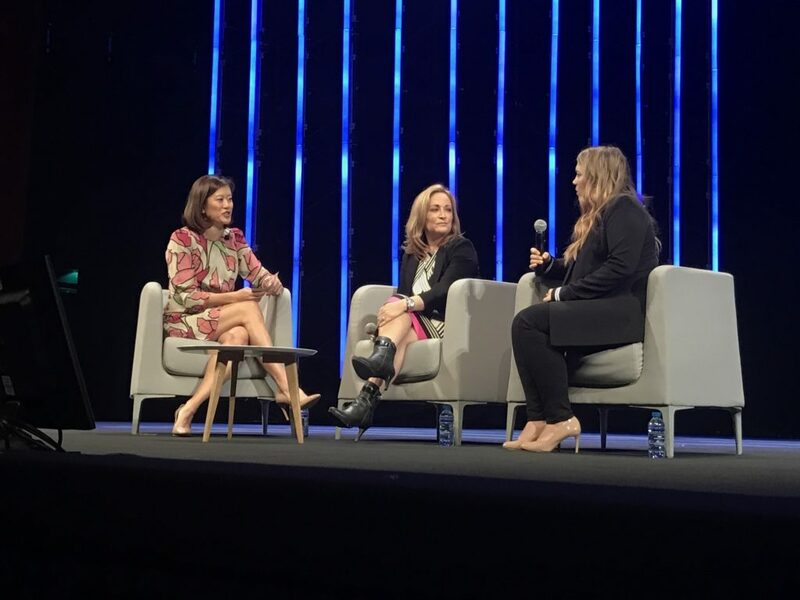 Kirkbride was then joined on stage by two partners for go90: Beatriz Acevedo, founder and president at Mitu; and Hannah MacPherson, creator of digital show t@gged. Kirkbride interviewed them about their views in this new world. The second series of t@gged is actually expanding in the length of its episodes, in response to the viewers’ demand. Acevedo agreed that the millennial generation are “glued to their phones” with a desire for authentic stories, and said that audiences are still underserved, leaving opportunities for creative companies – for example, young Latino viewers in Mitu’s case. “I think that digital is the best thing that ever happened to underserved demographics. Certainly to our demographic. There was always this broken bridge between the creators and the buyers,” she said. Networks would claim that they couldn’t find great Latino writers, directors and formats, while those great creators said they couldn’t get the networks to take their calls. Mitu is now using data from online video services and social platforms to show that this gap can be bridged. She also had some news on t@gged: “Very excited to announce that t@gged season two will officially premiere on go90 on May 9th,” said MacPherson, showing a clip of the new show. Fans will be hearing the news later today, so MIPTV attendees got the scoop. Kirkbride was followed on the Grand Audi stage by Jørgen Madsen Lindemann, president and CEO of Swedish broadcaster MTG, which has been transforming itself from a traditional broadcaster into a digital entertainment powerhouse. He talked about the company’s strategy and the wider market. He warned of the dangers in starting “to disrupt yourself” as a broadcaster, when you begin to invest in digital content and platforms that are competing with your existing channels. So far, MTG has invested in eSports firms like ESL and Dreamhack; in digital video networks like Zoomin TV, Splay Networks and Engage Sports Media; and in online gaming firm InnoGames. eSports is a particular focus. “eSports and mobile gaming now has more reach and more views than you have in traditional sport,” said Lindemann. “We are now rolling up eSports companies around the globe. It’s super-exciting.” And MTG is also trying to tell some of the stories behind this phenomenon, in the same way that it tells stories about traditional sporting leagues, teams and stars. Lindemann also talked about mobile gaming. “We have studios now creating a range of new mobile games. We publish these games, and we go into the distribution side as well,” he said, showing a game called Forge of Empires as an example. “30% of daily mobile usage is mobile gaming, which is quite amazing. So of course it’s a very interesting area for us to have invested in,” he said. Like go90, MTG is leveraging the big digital audiences of social influencers for some of its shows, while the investments in Zoomin TV and Splay Networks, which have 1.2bn and 230m monthly online views respectively, are upping its involvement in the digital video world too. Branded content is playing a role here too, as MTG pitches Splay in particular as a way for brands to entertain those hard-to-reach young viewers. Lindemann moved back to the overall content picture. “Local-produced content has an enormous traction,” he added. “Our audiences really like the local stories. We now have 50 drama series either produced or in the pipeline…” But he also praised new technologies like VR, which MTG has used for events like the Olympic Games and eSports tournaments, but is now expanding to its local content too: for example inviting fans of one star into his house, using VR video. Finally, Lindemann showed off a company called Trace, which focuses on urban culture and music. “More than a business: it’s a movement to be honest,” he said, highlighting the opportunity for this kind of creative company to build a global audience quickly, thanks to digital platforms. 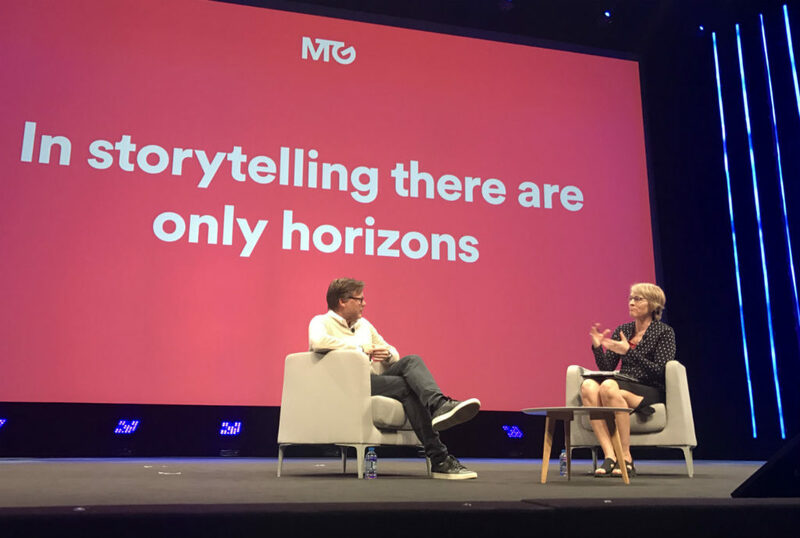 MTG is keen to snap up some more firms in the branded-content space, confirmed Lindemann, although he said the leadership of those companies will hopefully stick around. “That is also quite important for us: that the companies we are investing in, the founders stay on board so the intellectual capital is kept within the business,” he said.